No one captures the complexities of Appalachia—a rugged, brutal landscape of exquisite beauty—as evocatively and indelibly as author and poet Ron Rash. Winner of the Frank O’Connor International Short Story Award, two O. Henry prizes, and a finalist for the PEN/Faulkner Award, Rash brilliantly illuminates the tensions between the traditional and the modern, the old and the new south, tenderness and violence, man and nature. Though his focus is regional, the themes of Rash’s work are universal, striking an emotional chord that resonates deep within each of our lives. Something Rich and Strange showcases this acclaimed master’s artistry and craftsmanship in thirty-four stories culled from previously published collections and two available for the first time in book form: “Outlaws” and“Shiloh.” Each work of short fiction demonstrates Rash’s dazzling ability to evoke the heart and soul of this land and its people—men and women inexorably tethered to the geography that defines and shapes them. 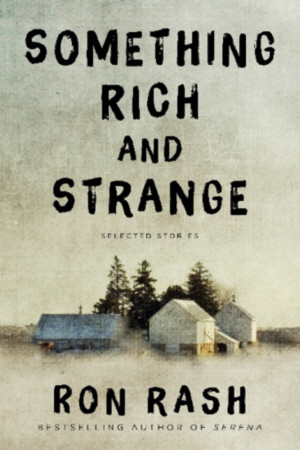 Filled with suspense and myth, hope and heartbreak, and told in language that flows like “shimmering, liquid poetry” (Atlanta Journal-Constitution), Something Rich and Strange is an iconic work from an American literary virtuoso.